Aer Lingus’ newly revamped Business Class cabin is stunning. Sit back, relax and explore the Google Maps tour (Veuve not included). Aer Lingus revealed its new Business Class cabin onboard the airline’s Boeing 757 aircraft—and the results are nothing short of lavish. Catering to the international jet set, the new-and-improved Business Class cabins offer flyers the chance to indulge in luxe lodgings while crossing the pond on their next Transatlantic adventure. The reimagined cabins boast lie-flat seating—which stretch to 6.5 feet when horizontal—ample storage and all the premium services Aer Lingus has been known to offer. The retrofit also features customized storage solutions, offering passengers the chance to conveniently stow away their laptop and electronics before take-off, without having to hastily cram them into a seat-back pouch. 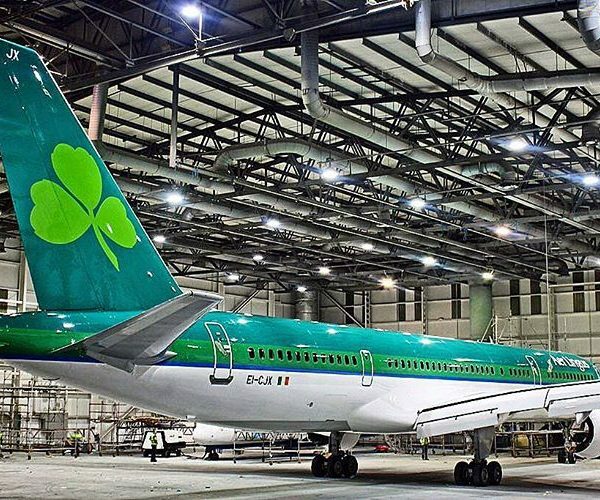 “With so much comfort, storage and space to stretch out in, really it’s more of a hi-tech lounge/bed/office/dining room than a simple ‘seat.’ But call it what you will, it’s all new and ready to be transformed into the space you want it to be,” the Irish airline states on its website. The Boeing 757 is a single-aisle airliner, offering guests maximum space and in the Business Class cabin, two seats sit on opposite sides of the aisle. Aer Lingus plans to have the Business Class sections onboard its four Boeing 757s completely redesigned by mid May 2016. The airline is expected to retrofit additional carriers in its fleet in the near future. Can’t find the time for a jaunt across the pond? Thanks to Google Maps, you can take a virtual tour of the Business Class cabins. For details on how you can book your next Business Class flight for less, please click through to the Fly With Class homepage and complete the form—one of our travel experts will be in touch!